We are pleased to be heading to Delhi for this year’s PMEC India exhibition taking place between 12 -14 December. The 2018 event will cover the latest trends and innovations from across the Pharmaceutical Industry, promoting discussion around new technology and ingredients management. Matcon’s team of experts will be available throughout the event to discuss your materials handling needs on stand 11.D23 in Hall 11. Did you know that not all IBCs are created equal? Sometimes, a butterfly valve container may be suitable for your current range of products, but as new therapies and molecules are used you may find that your current equipment is working at its limit and not effectively managing your high value ingredients. By thinking ahead and investing in a Intermediate Bulk Container (IBC) system, you will have the ability to handle the most difficult materials, setting your business ahead of the competition, whatever the future brings. Flexible and cost-effective, IBCs make perfect sense for any manufacturing industry that needs to move powders, granules or tablets between processes. These are particularly valid where quality and safety demands are stringent, but lower profit margins mean that high volumes must be produced to achieve a strong ROI. By using IBCs in a pharmaceutical facility that produces generic OSD products is one way to trim production costs without compromising the quality of materials. Understanding the limitations of the various types of IBCs available in the market, will ensure your investment provides a good return and you can efficiently manage your materials. We would always suggest that you study the valve outlet. This is an important process to ensure you can make a more informed choice. Speak to our team at PMEC for some further advice on what to look out for! Remember, your current solution might satisfy your existing process but it may not safeguard you for the future. As new products are introduced, you may quickly find that you are limited by your existing system. 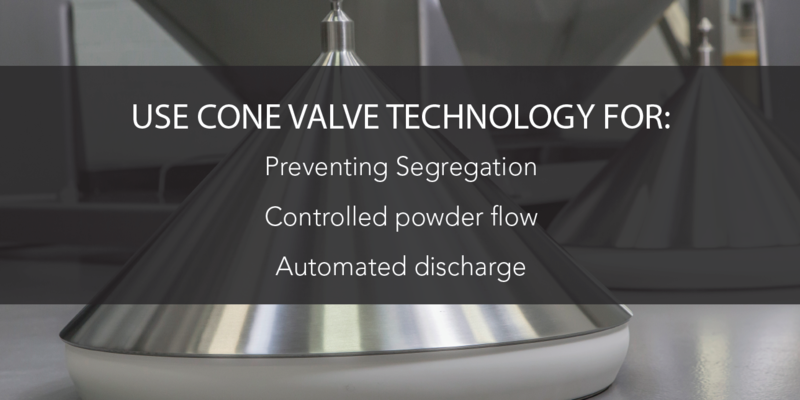 Matcon’s Cone Valve IBCs will keep you ahead of the competition as they are proven to handle the most challenging materials. 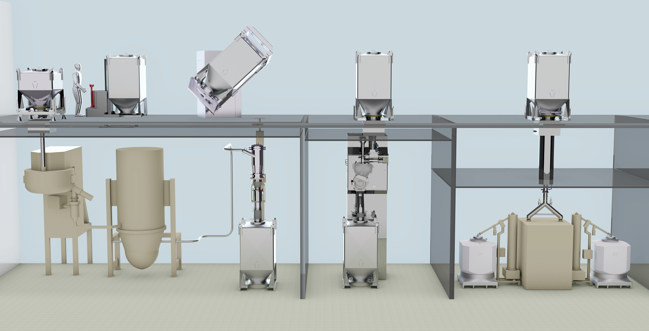 Whatever the future brings, a Matcon system will continue to deliver the same performance, even with the more difficult flowing powders or those prone to segregation, without the need to manually intervene or scrap batches. 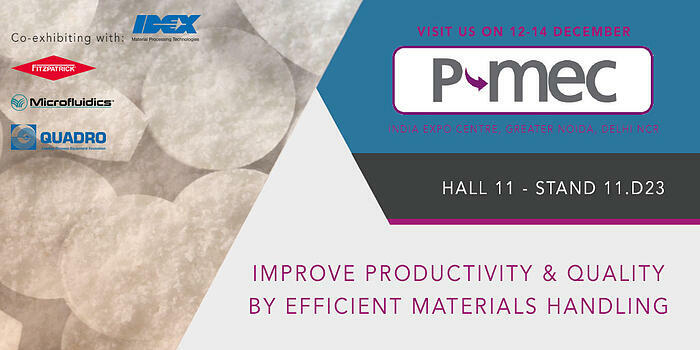 If you are looking to improve productivity without compromising on quality or if you need to future proof your manufacturing process to deliver complex tablet production, then don't forget to visit stand 11.D23 in Hall 11 during PMEC Delhi. We are proud to be exhibiting alongside other IDEX Material Processing Technologies, comprising The Fitzpatrick Company, Microfluidics International Corporation and Quadro Engineering Corp. Together we specialise in the supply of processing equipment for the handling of solid, semi-solid and liquid materials within the pharmaceutical, nutrition, food, cosmetic and chemical industries.